Timbertunes is the world's largest interior contractor,providing a complete range of high- end interiors services and turnkey solutions. 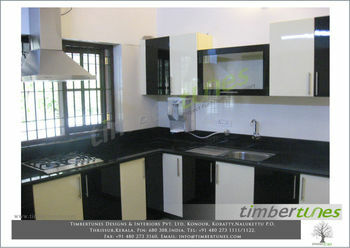 Timbertunes Designs & Interiors Pvt. Ltd, has been Established in 2007 at Koratty, Thrissur, under the patronage and skilled experience of our associate company Doors & Indoors L.L.C based in Dubai, for the past 3 decades. TIMBERTUNES DESIGNS & INTERIORS PRIVATE LIMITED.